These small glass bowls have long been on display in the State Dining Room at Culzean Castle, but most visitors probably don’t know what they were used for. Are they for washing your fingers? Are they ice buckets? Do you drink from them? During the late 18th and early 19th centuries, dinner parties were often very extravagant, involving six or seven courses, with as many as 40 different plates of food served throughout the evening. Guests would be offered several different drinks during their meal, such as an aperitif to start, wines to go with the main course and dessert wines, as well as port, Madeira and brandy. 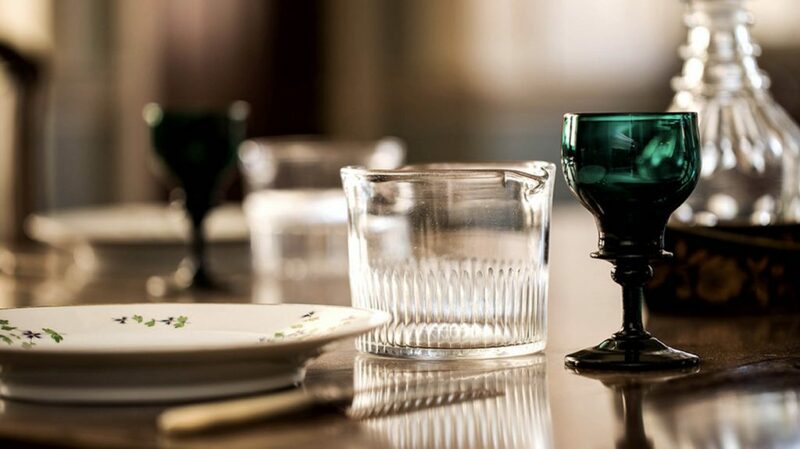 Guests would not always, as you might expect, be given a separate glass for every drink but would be provided with a glass rinser filled with cold water or water and ice. The purpose of these little bowls was to clean the glass between different drinks. They could also be used as to cool the glass before pouring white wine. These glass rinsers were often decorated in a comb-cut style, with the sides cut in vertical lines and a fluted base. The two lips enabled the stem of the wine glass to rest on the edge and be immersed in the water to clean it and also to rest while cooling. One of the reasons for not giving guests a different glass for each drink may be attributed to the Glass Tax, which was introduced in 1745. Wine glasses were expensive and glass rinsers were a way of being more economical in the face of this tax. 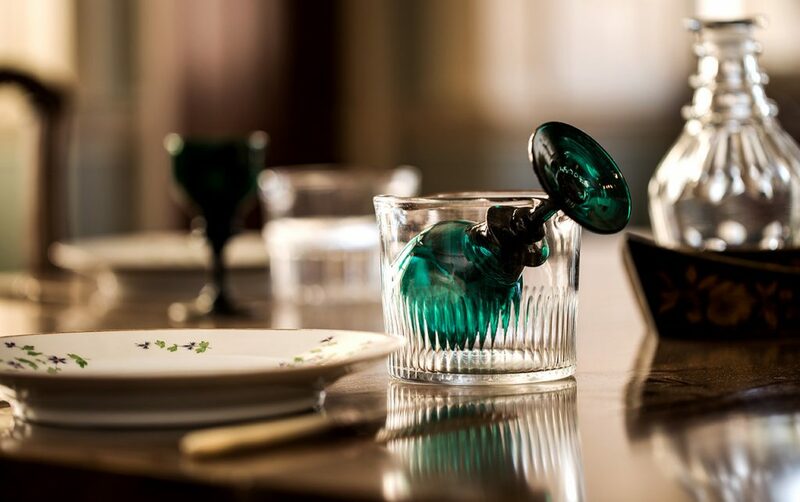 The use of glass rinsers remained common, particularly amongst the middle classes, until the Glass Tax was repealed in 1845, after which they fell out of fashion. The State Dining Room has a set of ten cut-glass wine glass rinsers, eight of which are on display. Next time you visit the castle, you can impress the guide by pointing out the purpose of these curious objects! This article is by Billy Young, Inventory Officer, Project Reveal South West. Project Reveal is a multi-site digitization project of unprecendented scale. With your support, we can help the Trust manage its collections more effectively. Most important, we can help the Trust discover, better understand, and share its treasures with the world. Originally published by the National Trust for Scotland on September 15, 2017.